Today, instead of writing about fantasy, I’m going to write about translation. Well, for the past week, that’s exactly what I’ve been doing. Besides, it’s a type of writing right? Rewriting someone else’s words? Rewriting my own? Given that my whole life revolves around language somehow — whether I’m writing, reading, or learning new ones — it’s no surprise that I come up against translations. My studies for the past two years have been in a foreign language. I have written poems and a short story in French. I’m writing academic papers now in Estonian. My Master’s thesis is focused on Estonian poetry, specifically on Betti Alver. This isn’t for bragging rights. There’s a point to it, I promise. The thing is, for the past two years, I have been translating and working with translations. To learn new languages, we seek to make connections with a familiar language (namely our native tongue). I am always easily frustrated by my lack of vocabulary in foreign languages. For example, to understand Betti Alver’s poems (in their entirety), I must first translate them into English. To write an academic paper, I read a lot of my sources in English and translate them into Estonian. 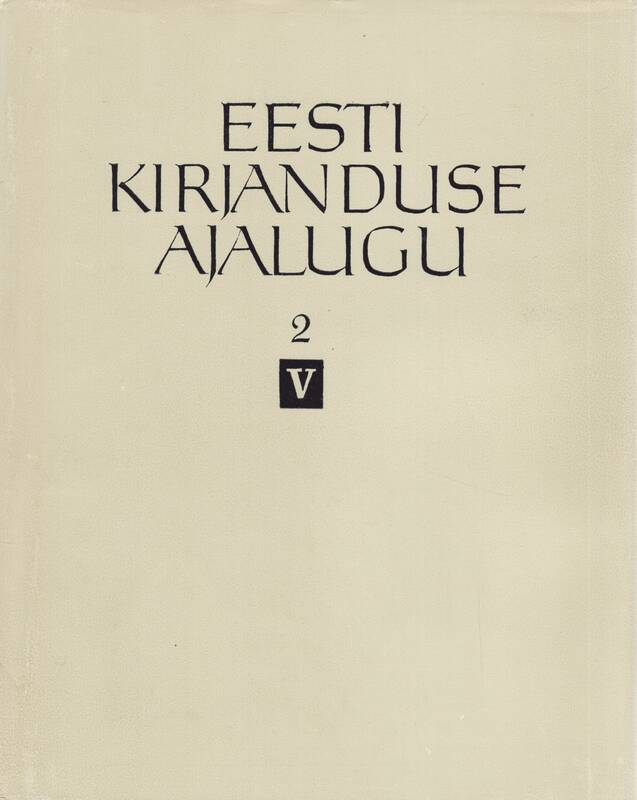 If the text is in Estonian but has overly complicated themes, I’ve been known to translate parts over to English so that I can make better sense of them. To write a paper at the Master’s level, sometimes I’ll write in English and then translate it over. Not the most effective use of my time, but the order of my thoughts is not Estonian. There’s an upside, however, to translating from one language to the next, especially if it’s from English to Estonian. It forces me to use the words and the grammatical systems, to make sense of them, and in general, I’ll remember them better afterwards. It also teaches me to pay attention to the writing techniques (style, if you will) that are used. This is important, you see, because I’ve come to realize — truly realize — that the structural choices in poetry and prose are often neither accidental nor purposeful, but inherent. Which brings me to the second part of my topic: the writer’s gift. People talk often about the writer’s “gift.” You hear people say it sometimes: “Wow! You’re so talented!” But the writer’s gift is not the ability to string a coherent sentence together, even if it’s a beautiful coherent sentence. It’s not the ability to write a beautifully coherent story, even. The writer’s gift lies in the foundation of writing — the inherent ability to choose every word like one might pick a berry from a bush. It’s a natural selection process, subconsciously choosing alliteration and assonance, metaphors, and parallelisms in poetry, for instance, or the pacing in a story. The right word in the right place at the right time, which makes the wind wail or the storm sing. Translations let me get into a poet’s mind; they let me see the writer’s gift firsthand. I’m in charge, picking the berries, making sense of his/her words. Trying to put them down into another language in a way that they dance on the page like they did in the original text. It isn’t easy. Languages do not always share mutual meanings for the same things. They don’t always have the same words or methods of descriptions. So how are the writer’s gift and translation connected? The point of this article (if there is one) is the fact that working with foreign languages always makes me appreciate English that much more. English is so natural, so inherent to me, that I often take it for granted. I cannot pick metaphors off a metaphorical berry bush in Estonian; I cannot write parallelisms in French or poetic rhyme. Even if I’m only translating, I have to work for those, really work for them. And even then, they don’t carry the heart of the original text; they don’t breathe the same tune as the original language. It’s almost heartbreaking. However, it’s also a reminder. People write differently. Everyone has his/her own style, structures, rhythm. Everyone has his/her own inherent talents. And you don’t realize how hard ‘inherent’ really is until all those things that once came naturally end up abandoning you in a foreign language, falling flat, and failing to answer your call. You don’t realize it — at least I didn’t — until the heart of your words (your gift) gallops off into the sunset towards a horizon that probably wasn’t there in the original text, and then you realize that, somewhere along the way, you’ve gotten lost in translation. This entry was posted in General, Writing Process and tagged Estonian, french, linguistics, Michelle Mueller, poetic style, translating, translation problems. Bookmark the permalink. It’s a natural selection process, subconsciously choosing alliteration and assonance, metaphors, and parallelisms in poetry, for instance, or the pacing in a story. The right word in the right place at the right time, which makes the wind wail or the storm sing. I know a lot of people who prefer to read poetry and letters in the original language if possible for just that reason. A great play on words can be lost in translation as well (ex: du hasst mich, du hast mich).